Music Publishers of America, LLC (“MPA”) is headed by Steve Harris, an attorney with decades of experience in entrepreneurial endeavors and a dedication to preservation of America’s musical heritage. We began our business through the acquisition of the assets of the Vitak-Elsnic Company. 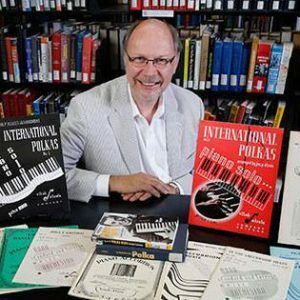 Vitak-Elsnic is America’s premier owner and publisher of music in the polka genre, including music for small band and orchestra, piano accordion and piano. With the acquisition of the Vitak-Elsnic business, MPA instantly obtained thousands of selections of sheet music, folios and charts, over 600 of which still are protected by copyrights registered with the U.S. Copyright Office. Together with the Vitak-Elsnic brand name and logo, these intangible assets are a huge underdeveloped pool of intangibles, which we have begun already to utilize. We have digitized a large portion of the Vitak-Elsnic portfolio, and that music is sold on our sister Vitak-Elsnic website (www.vitak-elsnic.com) via instant download. This assures customers with instant access to the music they are seeking, with no shipping charges or printing delays. MPA also engaged the services of Ernie Broeniman, founder and artistic director of Wisconsin’s famed Dorf Kapelle band, to create nearly 50 new arrangements of polkas, waltzes and schottisches for concert band, based on selections from the Vitak-Elsnic portfolio. These arrangements, also available on the Vitak-Elsnic website, come complete with expanded instrumentation and full conductor’s scores.